The volume summarises the main results of the research project titled "The impact of social networks on innovation, spatial and sectoral disparities of economic cooperation in the domestic SME sector” - or briefly NETINNOV. The objective of the research was to perform a representative, national survey by questionnaire among domestic enterprises which would detect the innovative activities of companies, the social network parameters of economic and innovation linkages and the pattern of horizontal and sectoral disparities. 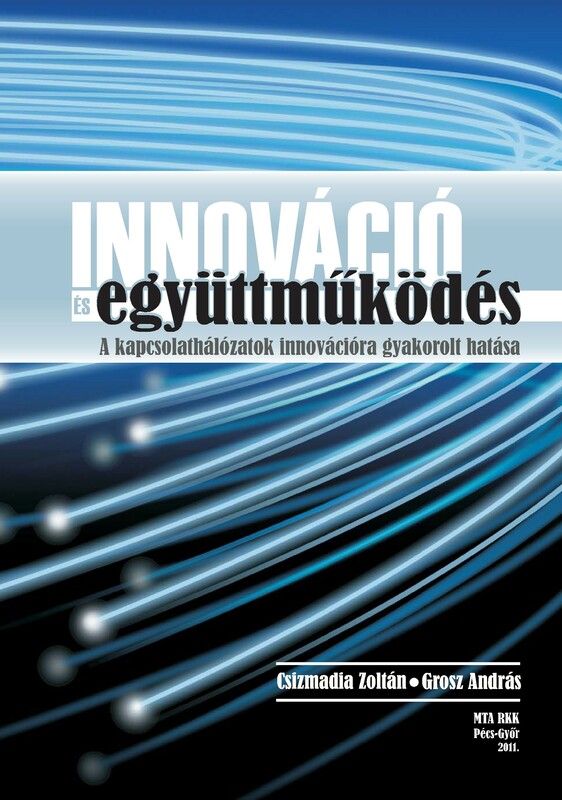 The authors’ aim is to identify corporate features of innovative activities (frequency, complexity, motivation and inhibiting factors), specifics of cooperation relations (size, complexity, structure, directions of content) and the interaction between the two examined problem areas (models, corporate groups). The representative sample enabled the authors to detect various interrelationships between corporate size, the company’s sector and its spatial location (at the regional level). The basic questions of the research were: how do domestic enterprises perform in the field of R&D and innovative activities? What characterises the external and internal environment of the innovative activities of enterprises? How developed are the cooperation and networking activities of domestic enterprises? How are the specifics of innovative and cooperation activities at economic organisations interrelated? What basic organisational, sectoral and spatial disparities can be detected in the areas of innovative activities and cooperation?